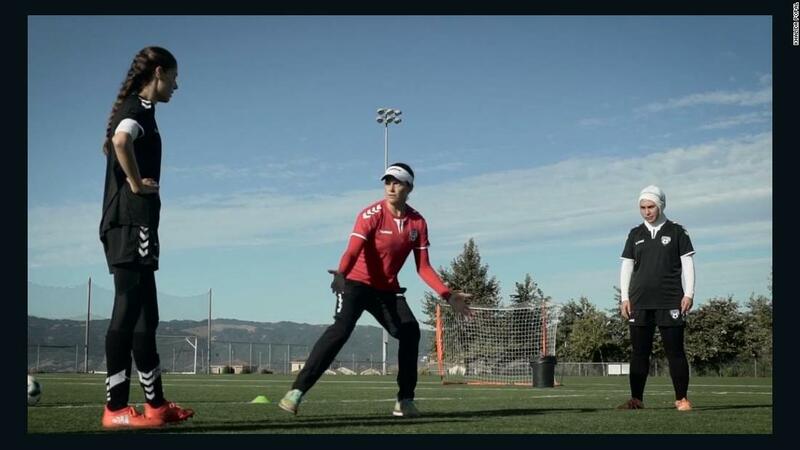 (CNN) As the manager for the Afghanistan Women’s National Football Team, I’ve seen the remarkable drive that women and girls have to play football. Despite this, Afghanistan’s women have maintained their determination to play football and excel on the international stage against all odds. If women will go to those lengths to play football, we can only imagine how the women’s game will develop under the right global conditions. Men’s football may have a 111-year head start, but with the required shifts in culture and governance, the women’s game will explode. 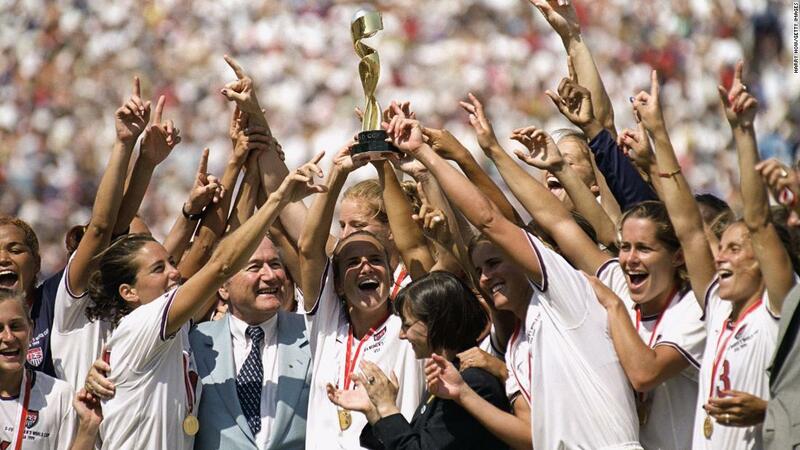 For the women’s game to thrive worldwide, a fundamental shift in perspective is needed. Too often men and women’s football are treated differently, and this ultimately stems from a failure to recognize that both games constitute ‘football’, the same sport that brings joy, passion and pride to people all over the world. Both the men’s game and the women’s game have their own unique strengths and challenges, but a basic recognition that “football is football” will transform how the women’s game is valued and developed. Only when the women’s game is viewed and managed as equal to the men’s game will football authorities invest in women’s football as they currently invest in the men’s football. I do not define investment here in a narrow sense. This is about much more than money. It’s about devoting the required resources, care and attention to ensure that governance systems will protect and encourage women and girls playing football. In many clubs, academies and federations globally, the women’s game is a “tick the box activity”. FIFA itself contributes to that culture by failing to hold its member associations accountable for a lack of effective governance, oversight and accountability in women’s football. As soon as a member association realizes that it can get away with diverting funds and expertise out of the women’s game, it’s only a matter of time before corruption, abuse, and intolerance will take hold and women will suffer. If FIFA does not enforce the governance systems needed to develop the women’s game, how can we expect their member associations to do so? What the game requires is more than just protection for women and girls playing football. That is a basic human right. FIFA and wider governing bodies must also ensure that women have an autonomous voice in the development of the game. So many women in federations are given a silent role with no budget and no decision-making autonomy. Female leadership should not be ceremonial and should entail management of budgets and direct lines of communication to governing bodies. Autonomous female leaders are best placed to drive the growth of the women’s game. We know that young girls play football for different reasons to boys. Women leaders steeped in football can educate clubs, academies and federations on these differences and teach them how to develop environments that girls love to play in. This will ensure that grassroots football meets the needs of young girls leading to greater participation and opportunities. Ultimately, this will lead to genuine changes in cultural attitudes to sport, as communities will start to value football and sport as spaces where their young women can grow. With the support of communities, the growth of grassroots football will in turn have a huge knock-on impact on the professional game, but also on wider society, as more girls will have the opportunity to develop mentally, socially and physically through football. The mentality of women athletes, in football and sport more generally, shows the power of unity. Female athletes around the world have moved on from a “thank you for the opportunity” mentality to a “we want to be the best to achieve our potential” mentality. This is getting results and sport governing bodies are starting to realize that they must respond to this change if they are to maintain any credibility. However, the power of unity extends to fans as well. If as fans, we still align with everyday sexist behaviour and innate gender, racial, and socio-economic biases then we will fail to hold football’s governing bodies to account. There is power in numbers and if fans stand in solidarity with women athletes, we send the strongest possible message that nothing less than full equality will do. It is our collective responsibility as a global football and sporting community to stand together and hold governing bodies accountable for their actions. There are many organisations out there filling the void currently left by governing bodies in world sport. I recently attended a roundtable event hosted by Prince Ali Bin Al-Hussein of Jordan, the Founder of the international social enterprise AFDP Global. 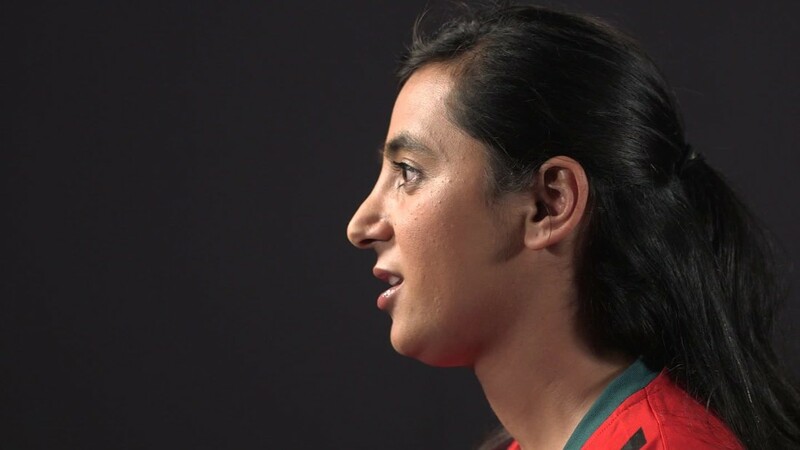 This important event was designed to co-ordinate current efforts to support the women footballers of Afghanistan. Since then, I have been working with AFDP Global to promote genuine inclusiveness, accessibility and good governance in women’s football. 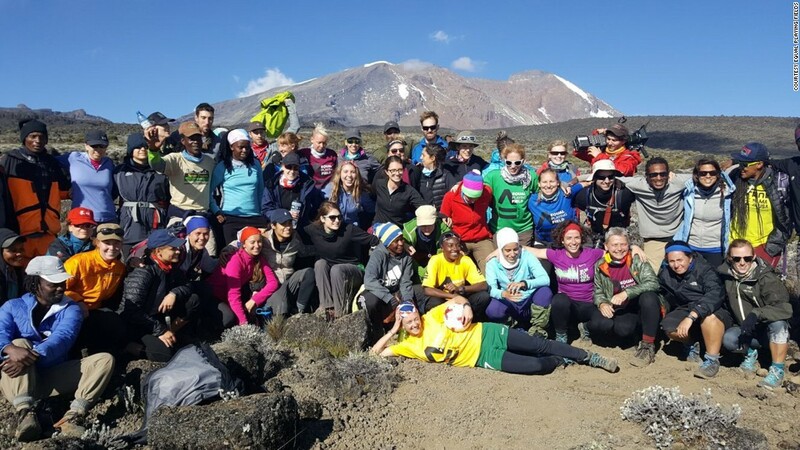 These are challenges that are by no means limited to the women’s game and that’s why AFDP Global has set out to unite and transform communities around the world through football. Their ultimate aim is to ensure that the power of football reaches young people in need, irrespective of their race, religion, social background, or gender. Representative bodies with authority over women’s football and sport in general must support the efforts of organisations like AFDP Global and act now for an inclusive world game. To ensure the growth of women’s sport, principled decisions need to be made to give autonomy to female leaders, as well as proper investment in and protection of female athletes. If women’s football is going to fulfil its potential and truly thrive, much more needs to be done, and soon. Football is a vehicle to developing intelligent, powerful, and accountable women that nations will stand on the shoulders of one day! International Women’s Day is a valuable opportunity to pose an important question to football’s governing bodies directly — what are you doing to make this a reality for young girls and women around the world? In 2016, FIFA created a Women’s Football Division dedicated to growing women’s football and promoting women’s empowerment and leadership. FIFA also launched its Women’s Football Strategy in October 2018, providing a clear plan to grow the women’s game globally. We have made some good progress but do appreciate that there is more to do especially in countries such as Afghanistan and the surrounding regions. The upcoming FIFA Women’s World Cup 2019 is providing a perfect platform to elevate the women’s football still further and to empower women and leadership, with FIFA setting ambitious targets around this tournament. Over the past months, FIFA has also been working quietly behind the scenes with respective agencies to address the cases of alleged sexual abuse in Afghan football. FIFA is using its competent bodies to investigate and sanction those responsible whilst also taking practical steps to support and safeguard those who have spoken out. That being said, the failures of one association cannot be the basis for broad conclusions about the entire football community and FIFA. Over the last years, FIFA has set the development of women’s football as one of its top priorities. In addition, the FIFA Forward program has seen a four-fold increase in development funding since its launch in May 2016. By 2022, FIFA will have invested almost USD 3 billion in global football development. These funds are already having a significant impact with many member associations investing in women’s football. Concrete achievements so far have included the creation of new girls and women’s leagues, academies, and support of national teams around the world through dedicated projects such as those in Mexico, Iceland, Uruguay, and India as just a few examples. But, with this increased funding commitment, comes strict controls and reporting. Members are required to open a dedicated bank account for their Forward funds which are audited by FIFA appointed world-class independent auditors each year to ensure that these funds are used properly and as intended. FIFA takes any allegations and reports of the potential abuse or misuse of FIFA funds very seriously and whenever we learn of a credible allegation, we investigate such cases thoroughly and take the necessary actions. This is why we have put in place a confidential whistleblowing hotline for people to report any breach. The development of women’s football is a long term effort which requires a joint work and commitment from all involved. FIFA understands its responsibility to lead in this effort and we welcome initiatives from all individuals and organizations wanting to invest time and energy in the women’s game, be it through forums of discussions as Mrs Lindsey mentions, or through any other concrete project. It is true that there are some challenges in Afghanistan surrounding women’s football, however we are surprised with Kelly Lindsay’s comments about a federation that was ‘willing to accept funding but unwilling to support the ambitions of the players and staff’. Lindsey will no doubt be aware that where funding has been received, it has been allocated into both grassroots and top level football development. Funding distributed to support the women’s game in the provinces; where development of women’s football is at its most challenging, as well as for maintaining 10 dedicated, salaried employees working for the women’s game. In addition, funding was allocated to the national team for training camps to be held abroad; something which is a great and historic achievement, enabling the players to train and develop in more conducive environments and with better facilities. Lindsey herself has been a part of these great achievements and we have nothing but respect for her for this. Therefore she herself knows that it is fundamentally incorrect to suggest otherwise. Lindsey is a big part of our recent history and we continue to wish her the best, whilst hoping that we can maintain and build upon the recent legacy, some of which she helped to build herself.